David Stuart Davies is the author of numerous novels featuring Sherlock Holmes as well as several non-fiction books about the Baker Street detective including the movie volume Starring Sherlock Holmes. David is a committee member of the Crime Writers' Association and edits their monthly magazine. Matthew Booth is the author of Sherlock Holmes and the Giant's Hand and a scriptwriter for the American radio network, Imagination Theatre, syndicated by Jim French Productions, contributing particularly to their series:The Further Adventures of Sherlock Holmes. 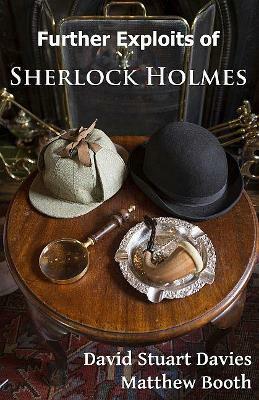 Matthew is an author in the MX Publishing Undershaw Preservation project, having contributed to their anthologies of new Sherlock Holmes stories.